– Defect in materials or workmanship. – the module is destroyed by non man-made damage. – the mechanical part is destroyed by non man-made damage. – no warranty for damage of surface appearance or misuse. Warranty can be claimed through your retailer or wholesaler for part/ lock replacement or repairs. All claims are required invoice of proof and the faulty parts or locks should be return to the seller before a replacement is sent. Each lock comes with a flat coded key with serial number (ie. K123456), use this identification number to re-order keys for your lock. Make note of the serial number and keep it in a safe place. Replacement keys can be ordered by contacting us. Lubricate your lock once per month using a dry PTFE lubricant to ensure smooth and reliable operation. Note: For locks with rechargeable batteries, please recharge every 3 months to avoid damaging the Lithium battery. How do I maintain Kovix locks? Regular cleaning and Lubrication of your Kovix lock will ensure years of trouble-free use. Every Kovix lock is built for long life using stainless steel or hardness steel and best quality parts for trouble-free service. 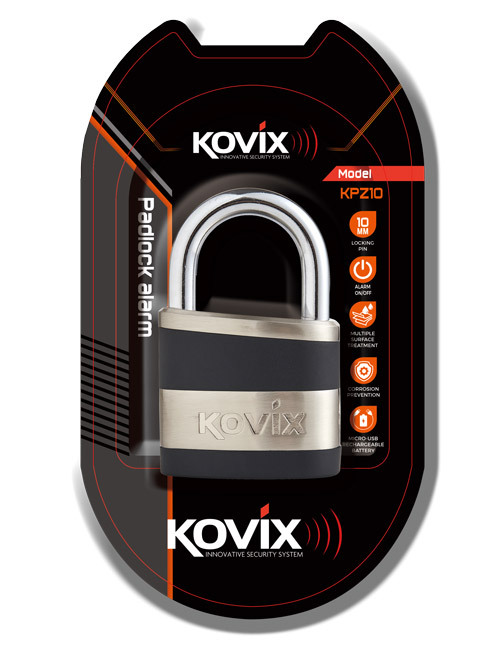 With minimal care, your Kovix padlock will provide security and smooth operation for many years to come. Why is my lock difficult to unlock after it has been outside for few months? Over time, dust, particles and chemicals in the air settle on and in the lock or padlock. They can then create friction inside the precision locking and keying components and impede the opening and closing of the padlock. How should I lubricate the Kovix Locks? The cylinder: when keys are hard to turn. Spray lubrication into the cylinder. Actuator and Driver, Locking lever or ball bearings: lubricate when the shackle is hard to release. Spray the inside the shackle. Annual cleaning is recommended. In very dusty or corrosive environments clean every three months. Lubrication frequency will depend on the environment and usage. We suggest the best lubricants are dry lubricants such as PTFE. Please ensure you NEVER use oily lubricants or graphite as Oil attracts dust and eventually gums up the lock. Oil and graphite can also interfere with the movement of the pins in the locking mechanism. How often should I charge or replace the lock battery? Charge the rechargeable battery every 3 months to ensure sound quality and battery longevity. Alarm locks with a non-rechargeable battery normally last 6-12 months before the battery needs to be replaced (depending on the alarm usage). Replace the battery when the sound starts to weaken. Replace or recharge the battery. If the problem persists, please contact us (as below) to get a replacement alarm module. I have lost the keys for my lock. Is it possible to obtain repalcements? If you do not know the key number, a locksmith may be able to assist in getting replacement keys created. Are Kovix products covered under warranty? 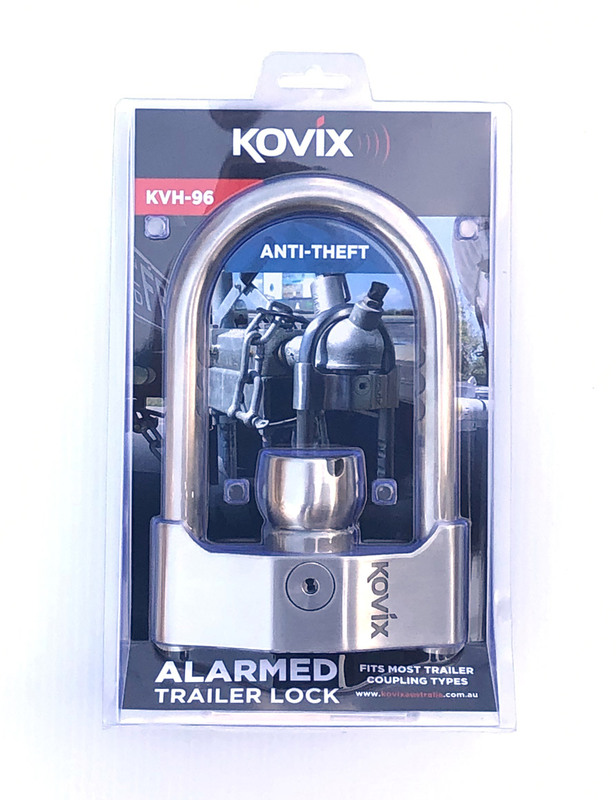 Kovix Australia offers a 12 month warranty on all its locks, including keys and electronic modules (including the battery). Contact us for technical support or general enquiries using the form below.